Before placing your order via the Sunshine State Mowers website, please read through these terms and conditions. By using this website and making a purchase, you agree to the terms and conditions as set out below. You are bound by these terms and conditions and should review them whenever you are using this website and making a purchase. Sunshine State Mowers endeavor to ensure that only accurate and up to date information is placed online. In the event that incorrect information is included in the Sunshine State Mowers Online Store, we will place a correction on the Sunshine State Mowerss content area. 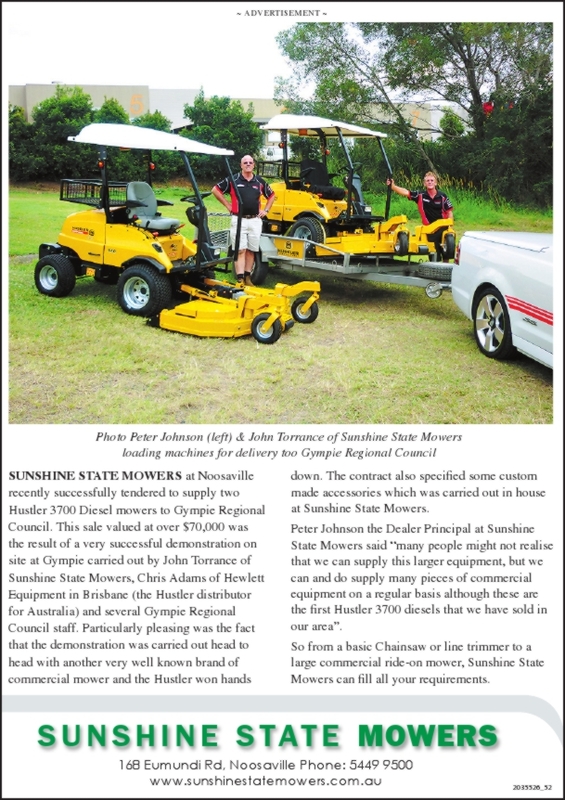 Sunshine State Mowers aims to include the complete range of products manufactured by all Suppliers/Vendors and publicised through the Sunshine State Mowers Online Store. Be aware that all products purchased online MUST be collected from the store. Care has been taken to ensure that all products and descriptions of them on this site are accurate. We do not, however, promise that the description is accurate or free from errors and omissions and reserve the right to make necessary corrections. You should enquire with us via the email/message facility on Sunshine State Mowers Facebook and Instagram Business/Fan pages or, via the email address provided on each Page if you seek further clarification. Sunshine State Mowers reserves the right to reject an order if, in its sole opinion, it is unacceptable. At the time that you place your order and are asked to supply personal information you have entered a "secure" environment. From this point in the purchase, the link between your web browser and Sunshine State Mowers Online Store is protected by the appearance of a padlock on your browser - this is a security certificate. You should understand that credit card numbers will not be stored on the website and will never be made publicly available. All information in relation to your order (e.g. name and address) is encrypted and can only be viewed by management and employees of Sunshine State Mowers with authorisation to that information. 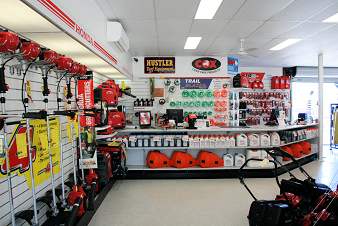 Your credit card details are not visible to any member of the Sunshine State Mowers Store team. In the situation that part of your order cannot be fulfilled immediately, the item that can be dispatched will be as soon as possible. Where part of your order cannot be fulfilled at all, you will be advised as soon as possible by message, email or telephone (if supplied upon order). 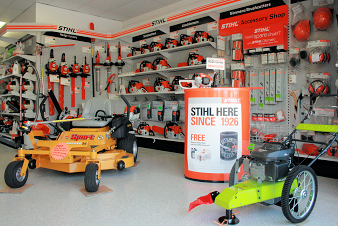 If any product which is displayed in the Sunshine State Mowers Store is withdrawn due to unexpected circumstances or becomes unavailable due to high demand, and the product has been ordered by you prior to withdrawal, Sunshine State Mowers will not be held responsible for inability to complete your order. Any estimate given as a guide only. Due to difficulties which could be encountered additional parts may have to be used. Availability of parts can sometimes cause a delay in repairs. The workshop guarantees its work to the extent of work performed for one month and parts used under the manufacturer's guarantee. Estimates are charged out at the normal labour rate (minimum fee for estimate is $30.00). Estimates that are not repaired will not be reassembled to working order unless an additional charge is made. Payment is required when the machine is collected. We reserve the right to dispose of or sell a machine that is not collected within three months of notification of estimate or completion of the repair. We only stock quality products with full warranty, spare parts & servicing. We stock quality products with full warranty, backup support and expert service. 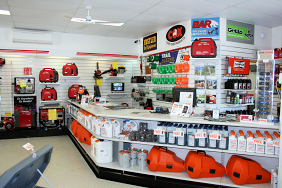 Our dedicated, long-term staff are fully trained and have extensive knowledge of all products!